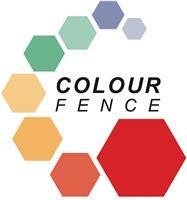 ColourFence Redhill (Surrey) - Fencing/Gates based in Wallington, Surrey. We are a franchisee of Colourfence, the garden fence to be proud of. Colourfence is a Zincalume high tensile steel and is fully engineered to be light weight yet extremely strong and durable. Our fence panels are guaranteed not to rot, warp or peel for 25 years and can withstand wind gusts up to 130mph giving you real peace of mind whatever the weather may throw at us. We are afraid we do not undertake any other fencing work such as wooden fencing. Colourfence’s low maintenance characteristics means it never needs treating or painting, just the occasional hose down is all is required to keep your fence looking as good as new. Our goal is to give you fencing that is attractive and remains fit for purpose without costly and time consuming annual treatments. Furthermore, you get full peace of mind as Colourfence is guaranteed for 25 years. Call Daniel today for your free, no obligation quotation. All RH, GU, CR and SM postcodes.